The Sd. Ah. 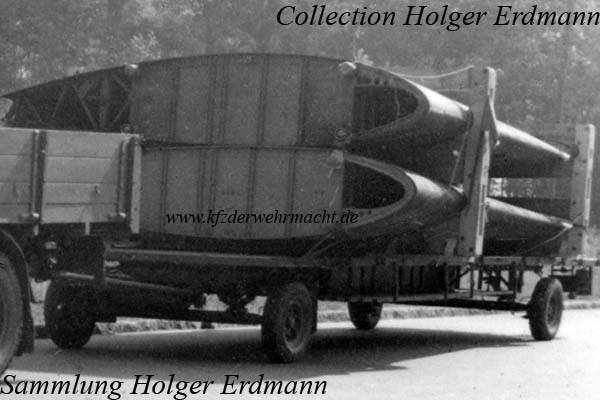 450 was used for transporting wings up to a length of 6 meters. It had a payload of 500 kg. Wings up to a length of 10 meters and a weight of 1 ton could be carried on the Sd. Ah. 451. Both trailers were similar constructed. The shown trailer is most probably an Sd. Ah. 451. This Sd. Ah. 451 was used by Jagdgeschwader 51. 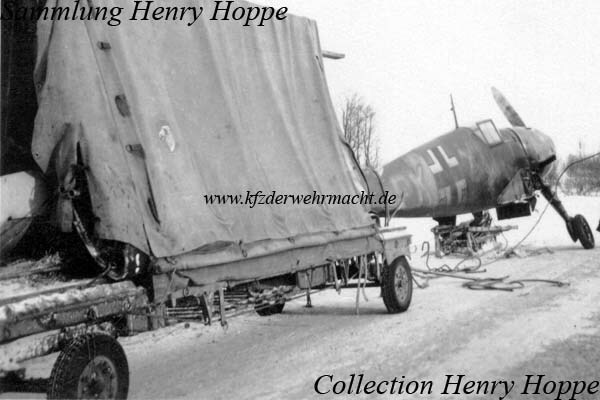 The wings of this Me 109 were transported on the trailer while the rest of the plane was simply fastened to the rear of the trailer. 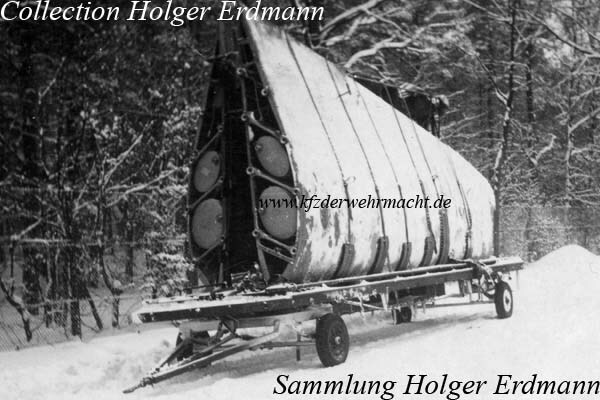 There was a framework in the middle of the trailer so the wings could be transported in vertical position – see the photo above. Two broad wings had to be transported in horizontal position like one can see on the photo below.